European LEPCA project "Advanced training for international child abduction lawyers"
We invite you to participate in our European LEPCA project "Advanced training for international child abduction lawyers". During and after the training an important evaluation will be held. The working language will be English. This is a kind reminder if you haven't registered yet, please find the invitation and registration link below. *The webinars are free of charge. Special rates for the blended training will be available for the first 80 registered participants who have participated live a minimum of three webinars. 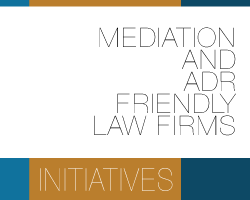 We are looking very much forward to your active participation in the LEPCA II project! Dear colleagues, dear lawyers and dear mediators! Hereby we would like to draw your attention to the European Conference LEPCA (Lawyers in Europe on Parental Child Abduction) on May 7-10 2014 in The Hague in the famous Peace Palace. Business and law students from around the world are set to compete in the International Chamber of Commerce’s biggest educational event of the year, the ICC International Commercial Mediation Competition, in Paris on 7-12 February. From Aarhus to Warsaw, 66 universities will take part in the 9th ICC Mediation Competition, an event that has grown enormously since its launch with just 10 teams in 2006. Of the 42 countries represented this year, Bahrain, Kenya, Trinidad and Tobago, and many more, are fielding universities for their first time. When mediation is a suitable way of resolving a dispute? Mediation is appropriate when the parties need a decision and are willing to negotiate. When is not mediation suitable? General rule: Where parties are not ready to search for a solution, where they do not see the necessity to search for a solution or where at least one of the parties insist to resolve their conflict by asserting the position solely. The cases listed below could be seen as unsuitable only upon certain conditions and it has to be taken into account that in many of these cases the alleged obstacle may be surmounted in the course of mediation. How to find and choose a Mediator? 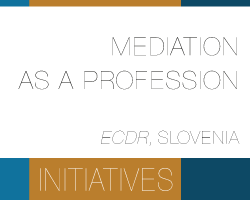 Information for mediators or mediation providers is available online, and often can be found in the chambers of commerce, embassies, or associations of mediators in the respective country. Usually this type of information is available on the Internet. How would pending litigation affect possible mediation?